It comes as a larger, nationwide movement to end cash bail gains steam. But the lawsuit details how the cash bail process plays out specifically in the 36th District and in Detroit, the nation’s poorest big city. And it brings up additional questions about how the court is handling efforts to provide better representation for its indigent defendants. Two years ago, when he was seventeen, Elliot Montgomery got into serious trouble with the law. He pleaded guilty to receiving stolen property and larceny from a motor vehicle. He was sentenced to a year in the Wayne County Jail. Since he got out, Montgomery has been trying to put his life back together. He says he basically just goes to school for his GED and works. But Montgomery ended up in jail again last month on an assault and battery charge. It’s an old charge, from back in 2018. He says it stems from a fight that happened while he was in jail. Montgomery says this time, he’s innocent. But bail was set at $150, and he didn’t have it. Prosecutors offered him another plea deal. “They tried to come to me with a plea. And it’s like, why would I take a plea if I didn’t do it?” Montgomery said. The new lawsuit argues that this type of situation should never happen. It contends that almost no one who hasn’t been convicted of a crime should be locked up-- especially if the only reason is that they can’t afford bail. The national ACLU, ACLU of Michigan and law firm Covington & Burling LLP and others filed the lawsuit in Detroit federal court this past weekend. It calls cash bail unconstitutional, and it takes direct aim at 36th District Court. 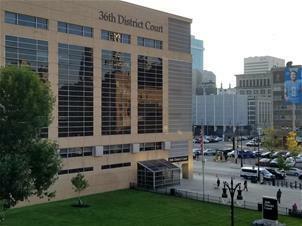 36th District is the state’s busiest court, processing about 500,000 cases a year. It handles everything from misdemeanor traffic tickets to more serious misdemeanors, and the pre-trial process for felony cases. It’s that pre-trial process that this lawsuit is concerned with—specifically, with the arraignment process. That’s when defendants first appear before a magistrate and have a bond hearing. The lawsuit maintains that in around 85% of those hearings, 36th District magistrates set cash bail conditions for release. “Poor people in Detroit are routinely jailed because they cannot afford bail. Meanwhile, similarly situated individuals who can afford bail are routinely released,” according to the legal complaint. “This unnecessary, unconstitutional, and costly discrimination against indigent people accused of crimes in Detroit is the result of the 36th District Court’s policy and practice of making no inquiry whatsoever into an arrestee’s ability to pay before imposing bail requirements." “Originally, bail was supposed to make sure that people returned to court to face whatever charges are pending against them. But instead, the money bail system has morphed into mass incarceration for the poor,” says Dan Korobkin, deputy legal director of the ACLU of Michigan. Korobkin says that creates a two-tiered justice system, where people with means go free while the poor stay behind bars. Data suggest that around 60% of people in the Wayne County Jail at any given time are pre-trial defendants. “Except in truly extraordinary circumstances, people accused of crimes who are presumed innocent should be going home to their families, not sitting in jail because they’re too poor to pay bail,” Korobkin said. On a recent afternoon in Magistrate Dawn White’s 36th District courtroom, nearly all the arraignments took place via videoconference. The defendants were at the Detroit Detention Center. As a guard called each up for their arraignment, they stood in front of the camera as White read the charges and penalties to their faces on the TV screen. The same language was repeated in every hearing, for dozens of cases. There no was inquiry about any defendant’s ability to pay. Only one had a lawyer present. One case was a domestic violence charge. Magistrate White noted that it was a second alleged offense with the mother of the defendant’s child. This defendant was released two days later on a bail bond. But not all defendants can afford the fees a bondsman charges. And sometimes bail bonds companies won’t take cases where the bail amount is too small to turn a profit. According to the ACLU lawsuit, 36th District judges give cash bail conditions to about 85% of defendants. Amanda Alexander says these pieces add up to a big problem. She’s with the non-profit Detroit Justice Center. That group works with the Detroit chapter of the Bail Project to pay bail for defendants who otherwise can’t afford it. Alexander says that after just a couple days in jail, people’s lives can begin to fall apart. They can lose their jobs, their housing, even their kids. She remembers one client, a father of four, who couldn’t afford $500 bail. He lost his job while he was in jail. And the children’s mother was forced to quit her job because she couldn’t find child care. “So this is a household that over the course of a week, went from two incomes to no income over this $500,” Alexander said. Another consequence of pre-trial detention: Alexander says people behind bars are more likely to take plea deals, regardless of guilt. The spiraling repercussions of the cash bail system are just one reason there’s a growing national movement to end it. Few people will openly defend the status quo anymore. Bills proposed in the Michigan legislature last month would overhaul the cash bail system statewide. “It’s safe to say that people working in the system do not think it’s ok that 50% of our jail beds are for people who have not been convicted of a crime,” said Judge Tom Boyd, chief judge of 55th District Court in Ingham County. In Boyd’s court, all defendants now have lawyers at the time of arraignment. He thinks that’s actually made the process smoother. And it’s one of four newly-adopted state court standards devised by the Michigan Indigent Defense Commission. Boyd says that’s the direction most Michigan courts are moving in. But not 36th District. “The 36th District Court and the city of Detroit have, for some reason which is very difficult for me to understand, refused to make this modification,” Boyd said. That’s exactly what this lawsuit claims the court is not doing. One of its claims is that defendants are denied their constitutional right to counsel because most don’t have lawyers at their arraignments. Blount was not immediately available for comment Monday on the lawsuit or the letter. Boyd does think there’s a place for cash bail under some circumstances, though. He said he sometimes holds people with addiction problems in jail until they can get a bed in a treatment facility. He remembers one woman who recently turned herself into the court on a snow day, because she was so desperate to get some help. 36th District Court Chief Judge Nancy Blount's letter to the Michigan Indigent Defense Commission. The ACLU’s Dan Korobkin says that simple things like text message reminders have proven effective at getting people back to court. The lawsuit asks for a complete overhaul of 36th District’s cash bail system. Meanwhile, Elliot Montgomery got lucky. 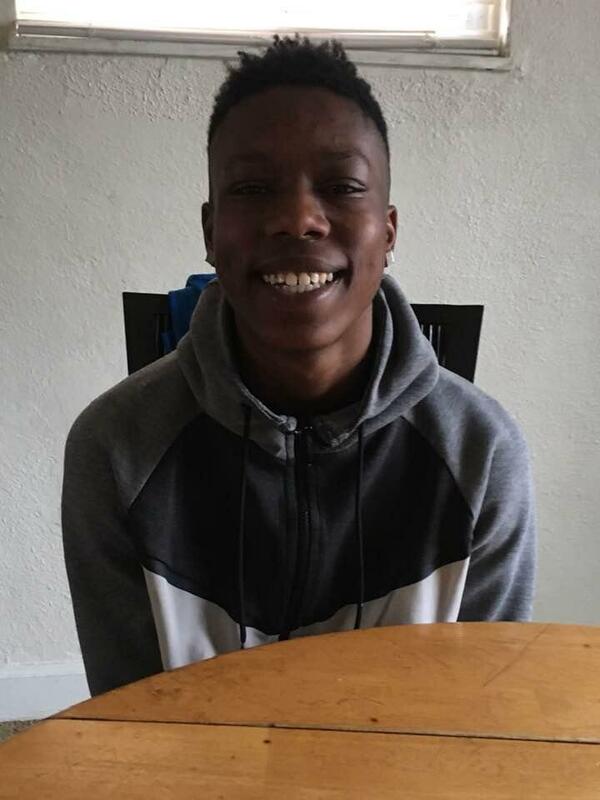 He got bailed out after three days by the Detroit Bail Project, So when his current case goes to court, he can show he’s still working, going to school — on the right path for now. “Like I’m trying. I’m not the same person I was when I was 17, basically. That’s what I’m trying to prove now,” Montgomery said.